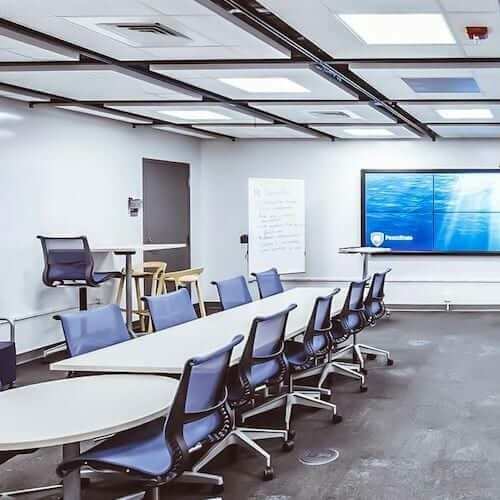 The Shared Experiences Lab not only provides a space for collaborative, engaged learning, it was born from collaboration between TLT and University faculty. 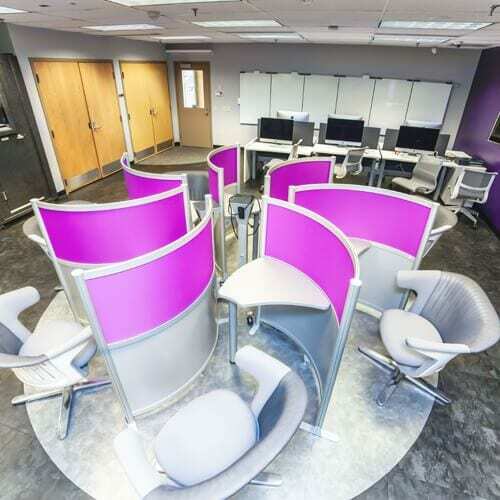 Input from those who would teach in the Lab led to a design that supports distance learning, video conferencing, blended learning, and active learning-based classes. What makes the Shared Experiences Lab uniquely capable of building connections that enrich the learning experience? 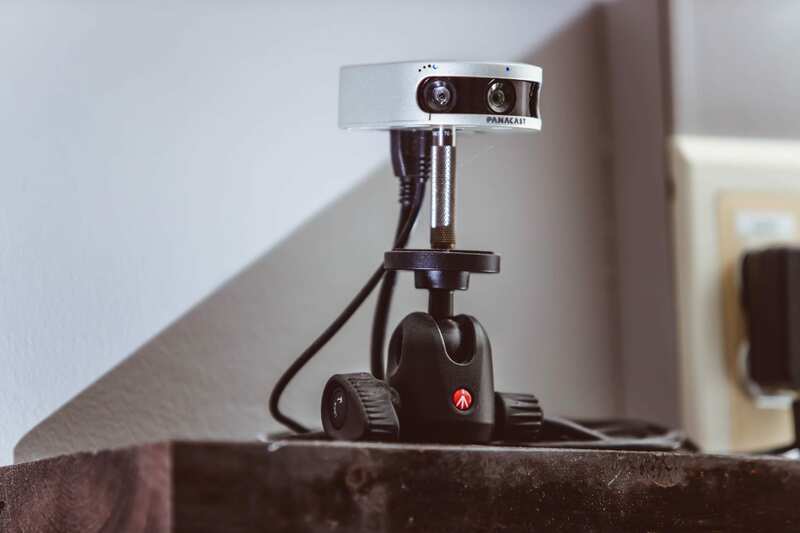 The space is outfitted with three 180° web cameras that capture and broadcast activity in the entire room. This allows for faculty and students to connect with guest speakers, students at other universities, or anyone else around the world and engage with them in a meaningful way. 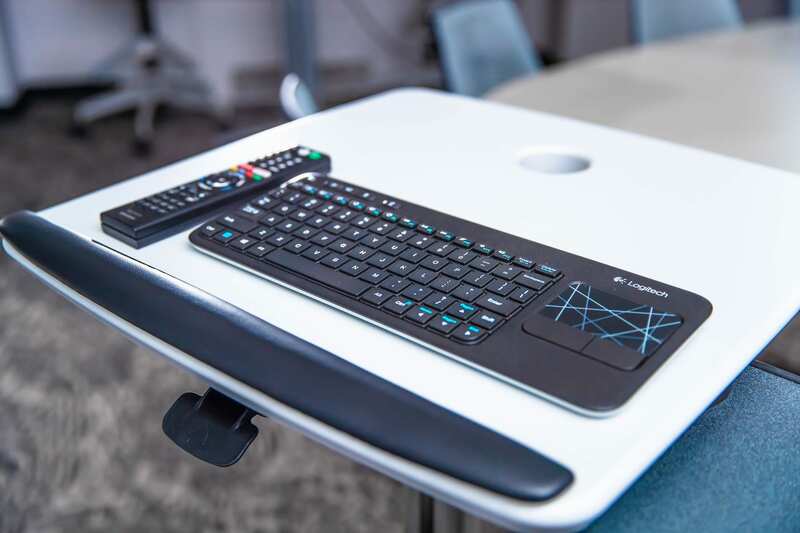 A 75″ high definition display outfitted with Solstice, a wireless keyboard, a CLC classroom computer, and mobile whiteboards round out the features that create the Lab’s unique learning environment. Located in 11 Sparks, the Shared Experiences Lab can accommodate 24 people at a time. It is available for semester-long use or shorter term projects. 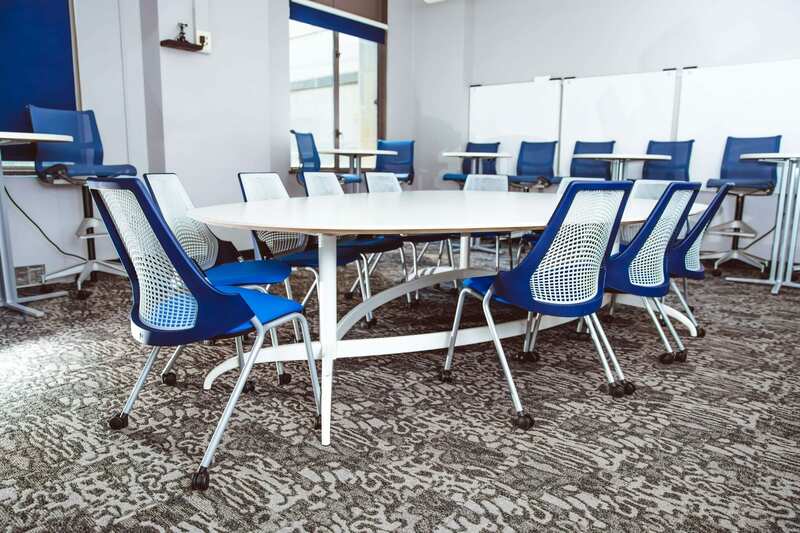 Its location adjacent to the large lecture hall in 10 Sparks also provides opportunity to serve as an academic ‘green room.’ This before and after space can enable enrichment opportunities for faculty and students. Contact us if you are interesting in touring or using the Lab. The collaboration in the Shared Experiences Lab doesn’t end with the classroom experience. Instructors also play a role in defining its future use and evolution – along with other learning spaces – through collaboration with TLT in scholarship of teaching and learning research. Additionally, Instructional Design support is available to faculty looking to implement active learning strategies in this or any other space.